IN POSSESSION OF HOTEL LA ABADIA, S. A. DE C. V.
Your personal details which are in possession of LA ABADIAand are subject to protection , are those that have been collected through questionnaires , warranty cards , recruitment interviews , consents given by telephone , written, electronic , or documents by filling through access to web sites controlled by LA ABADIA that link to this Privacy Notice . This Privacy Notice applies to personal data collected by LA ABADIA within the United States of Mexico. The use of the Internet portal LA ABADIA is subject to the terms of this Privacy Notice . provide services and products , ( xv ) report changes or new products or services that are related to the contracted or purchased by the customer (xvi ) recruitment and selection of staff . The data , if any , LA ABADIA collects from you and, therefore, are subject to protection , are: ( i ) full name , (ii ) address , (iii ) gender , (iv ) date of birth; ( v ) nationality, (vi ) social security number , ( vii ) unique population registry key (viii ) federal Taxpayers Registry (ix ) phone , ( x ) by email , ( xi ) data related to his or her bank cards to make charges or guarantees for the provision of hosting services , ( xi ) profession and occupation , ( xii ) professional license ( xiii ) passport number ; ( xiv ) personal information required to identify their profile through questionnaires , recruitment exams or interviews or recruitment . Please note that to comply with the purposes set out in this Privacy Notice will be collected and treated , if necessary , the following sensitive personal data : present status and future health , racial or ethnic origin , genetic information , religious beliefs , philosophical and moral , union membership, political views or sexual preference . We promise that they will be treated under strict security measures to ensure confidentiality. In accordance with the provisions of Article 9 of the Law on appointment , we require explicit consent for the processing of sensitive personal data . By sending sensitive personal data through the Site or ABBEY website , you expressly consent and agree that these data are processed in accordance with the terms and conditions set forth in this privacy notice . THE ABBEY reserves the right to make changes at any time or update this Privacy Notice, to the attention of legislative reforms , internal policies or new requirements for the provision or offer of our services or products. These changes will be available to the public through our website , section privacy notice. A limited number of employees of THE ABBEY , and its affiliates, subsidiaries or parent company , certain companies with which LA ABADIA could have joint programs and third parties contracted to perform ABBEY ABBEY activities can access personal information . We train our employees about the importance of privacy and how to handle personal data properly and safely . LA ABADIA understand that you give your consent when you join a program that is in conjunction with another company that may require access to your personal information . It is also LA ABADIA practice require that suppliers or contractors to keep your personal information confidential and to use your personal information only to perform functions for LA ABADIA . Relationship you had with THE ABBEY . Name of product, service, event or program for which it contacted . 2 . Attach a copy of the documents proving their identity or , if applicable , the legal representative of the owner . 3 . Provide clear and accurate description of the personal data of those seeking to exercise any of their rights. April . Provide any other item or document that facilitates the location of your personal data . The deadline to provide a response for the determination made regarding your request ARCO is twenty ( 20 ) working days from receipt of your completed application , for which , the Committee of Data Privacy LA ABADIA send you a mail receipt of your request. The aforementioned period may be extended once for an equal period , provided where warranted by the circumstances . You expressly agree that LA ABADIA not give your personal data intended treatment . If you believe that your right to protection of personal data has been injured by any conduct of our employees or our actions or responses , or considered in the treatment of your personal data there is any violation of the provisions of the Federal Law of Personal Data Held by Private Parties , may file a complaint or file complaints with the IFAI . PROCEDURE FOR REFUSAL TO USE SECONDARY PURPOSE OR ACCESSORY TO REVOKE CONSENT OR TO LIMIT THE USE OR DISCLOSURE OF YOUR PERSONAL DATA TRANSFER . 3 . Provide clear and accurate description of personal data for which you want to manifest denial of use, and the purpose or secondary or ancillary purposes for which you do not want the use of your personal data , or enlist the use specific and limited that is intended to have their data . The deadline to provide a response for the determination made regarding your request is refused, is ten working days from receipt of your completed application , for which , the Committee of Data Privacy LA ABADIA will send an email receipt of your request. The aforementioned period may be extended once for an equal period , provided where warranted by the circumstances . For more information, please contact the Privacy Committee ABBEY Data to armandolr@stayberry.com email address or phone 018005619191 , to the attention of Armando López Ramírez . Similarly, you can at any time withdraw your consent for your personal data is processed by LA ABADIA , or restrict the use or disclosure in accordance to the mechanism described above. Also apply this procedure to the case that you intend to express their refusal to transfer personal data within and outside the country, in terms of this notice. 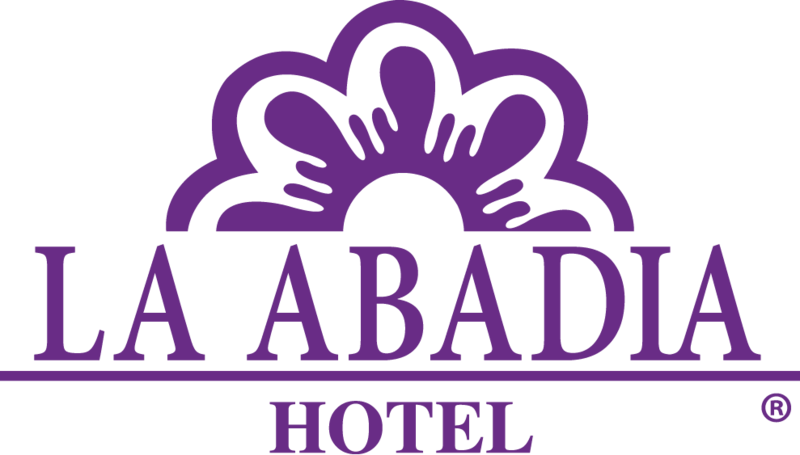 HOTEL LA ABADIA, S. A. DE C. V.